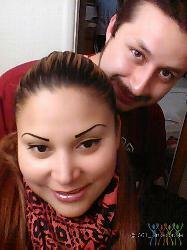 We are a Latino couple, very easy going and like to have fun. We are looking for a certain couple we can play exclusively with. We aren't into looks, as we aren't supermodels. But we think a great attitude and disposition is much more sexier. Message us, we don't bite hard ;).